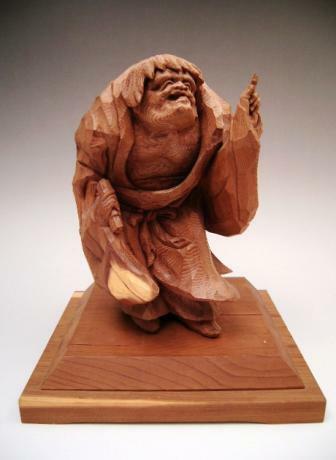 Description: Japanese 20th century wooden carving OKIMONO of KANZAN, a hermit, carrying his signature rolled hand scroll in his right hand and pointing up with his left. 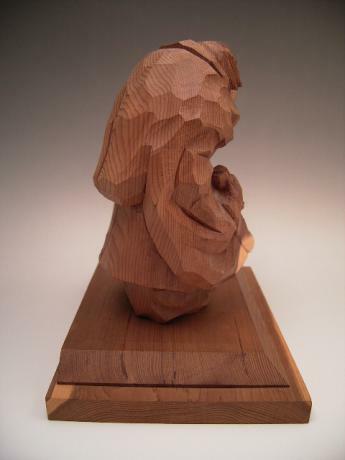 Kanzan means "cold mountain" so he is sometimes called the recluse of cold mountain. 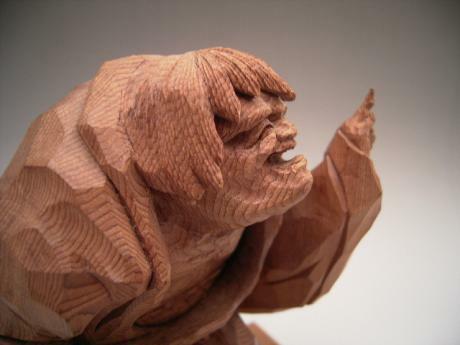 He was a recluse in the Taoist tradition. He is almost always associated with JITTOKU and the two of the were suppose to have spoken in gibberish to each other. 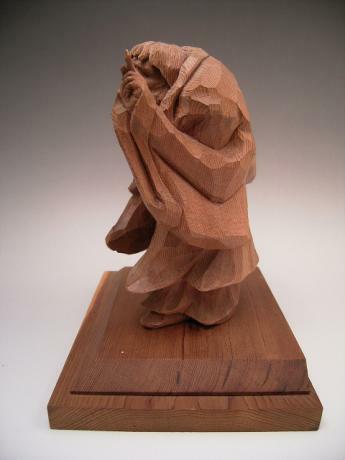 His hand scroll represents knowledge and the broom that JITTOKU always carried represents his humility. Signed by the artist in back. 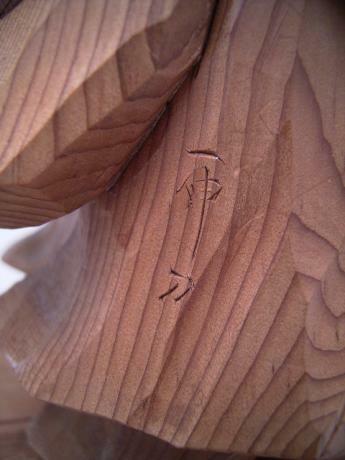 Carved in the ITTOBORI carving technique utilizing only one single carving tool for all the carving work. 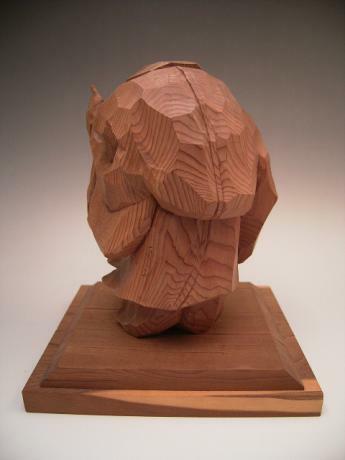 KANZAN measures 8" tall, 7" wide and 5 3/4" deep.